Expeditioners Mallory Lykes Dimmitt and Carlton Ward Jr. Skies the color of lead greet us with a gentle rain as we begin our hike along Juniper Creek trail. It's a winding, gently sloping trail in the Blackwater River State Forest, tucked into the wild northwest corner of Florida. "The outstanding feature of this trail is it parallels Juniper Creek," says Ed Williamson, a spry retiree who volunteers with the Florida Trail Association. "And at times, you walk right along the bank of Juniper Creek. It's pretty scenic. 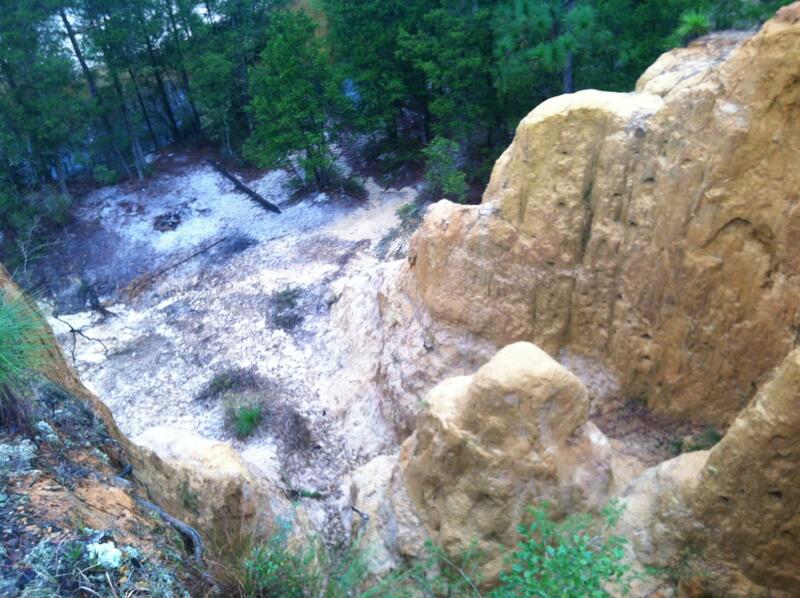 There's also an area where there's some high bluffs that you can look down on the creek." 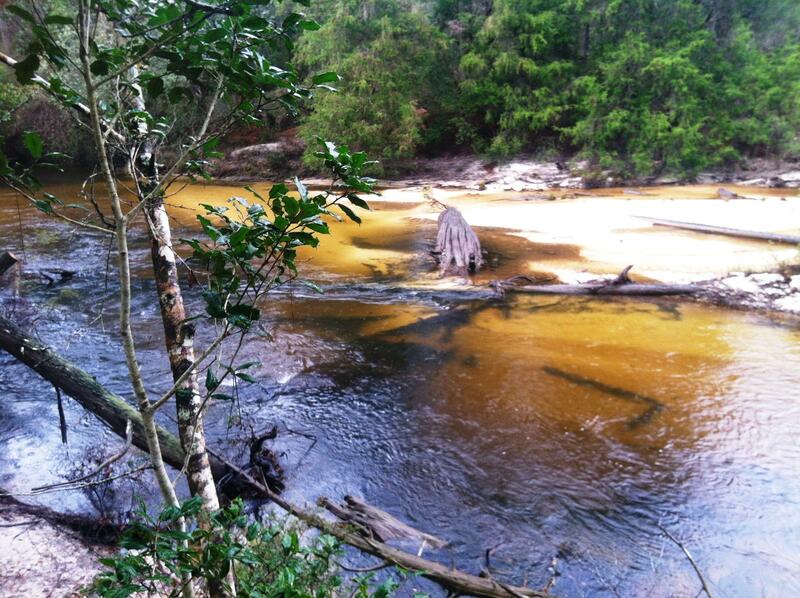 Blackwater River State Forest is a survivor - it's what a lot of Florida used to look like. It boasts at least four sandy-bottom rivers with practically no development crowding their shores. Those "high bluffs" looming some 60 feet above the creek that look more like canyons from the mountain West than something you'd find in Florida. "Now, we're going to be walking through places where the trees are 60, 70, 80 years old," says Vernon Compton, with the Gulf Coastal Plain Ecosystem Partnership. The group is dedicated to spreading the word about restoring the dwindling longleaf pine habitat, which used to cover millions of acres throughout the Southeast. Tall and rangy with an easy smile, he's the kind of man who seems at home on the trail than cloistering in some office. "In this landscape, we have more than 50 percent of the remaining old-growth longleaf pine that's left in the entire world. There's not much left," says Compton. "So, to have that much in one place, you learn a lot of lessons from that when you actually look at a system where the trees are 300, 400, 500 years old." Expedition founder Carlton Ward Jr. calls this expanse of Northwest Florida one of the most diverse environments on Earth - rivaling even rainforests. "This property, more than anything else I've seen, gives hope of what is possible for re-wilding and reconnecting the different islands of habitat that are still remnants throughout Florida and throughout the the Southeastern U.S.," he says. And with its connections to the Conecuh National Forest in Alabama to the north, and the half-million acre Eglin Air Force Base to the south, it's the lynchpins in one of the largest wildlife corridors in the state. But being home to the biggest military bases in Florida can have its drawbacks. I asked one of the people paddling with the expedition on Blackwater River how he feels about the racket. 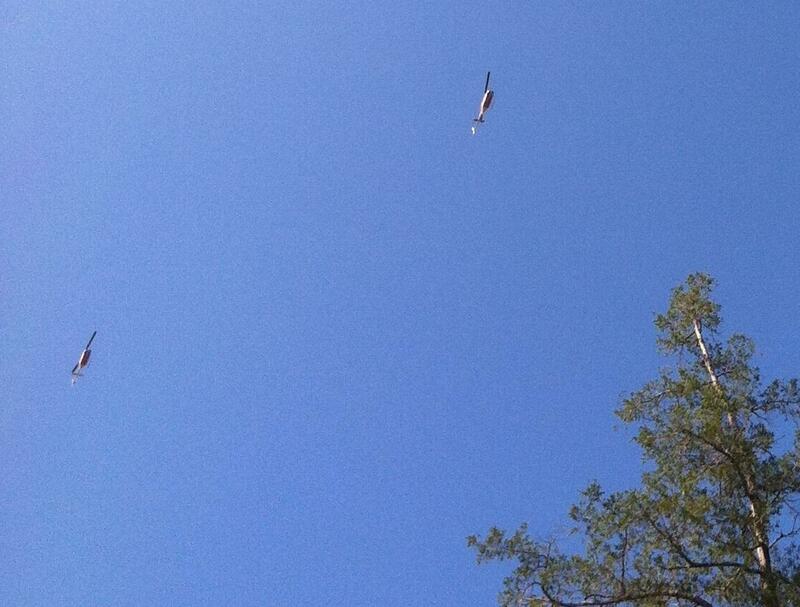 "When the C-130's are flying, they're not much higher than that. And sometimes even lower than that," he says. "If you're out on the campground at night, or paddling on the waterways here, it's not enjoyable listening to that crap." Helicopters on training runs from nearby Whiting Field Naval Air Station are a constant presence here - I heard them swoop by every 15 minutes or so. But those bases are essential for keeping development at bay. Expedition leader Mallory Lykes Dimmitt and Carlton Ward say they've become an essential part of wildlife corridors here. 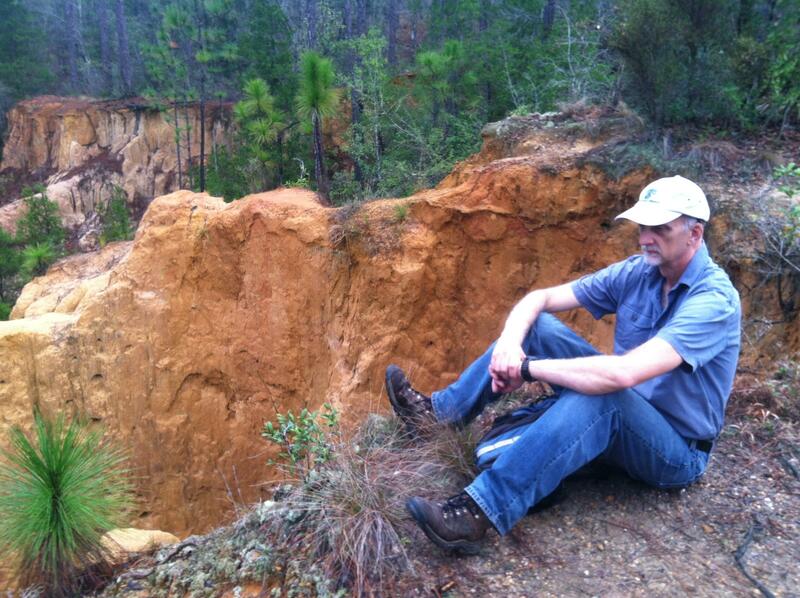 "And when you're hiking on the Florida Trail through Eglin, it's unbelievable like any other part of the trail," says Dimmitt. "It's hard to know you're on an Air Force base, except for this rumbling in the background, which is kind of distantly away, and lots of signage when you cross on. They have a special permit system that's been worked out there." "We're hiking along the Florida National Scenic Trail and the first day, the bombs are just going off to the left," says Ward. "And maybe that's a little disheartening, if you don't know the back story. But when you realize that those bombs and those activities enable the creation and maintenance of that trail with the trail volunteers, it all comes together in an interesting working partnership. And I think the military is one of the best partners in the future to continue expanding the lands they need to preserve their mission and the lands the bears and other wildlife need to survive, as well. "You wouldn't think that the Air Force and the Department of the Defense would be the lead in that sort of endangered species management," says Ward. "But in truth, I've seen nothing like that anywhere else. Eglin Air Force Base is like a national park in many ways, in terms of the richness and the diversity. 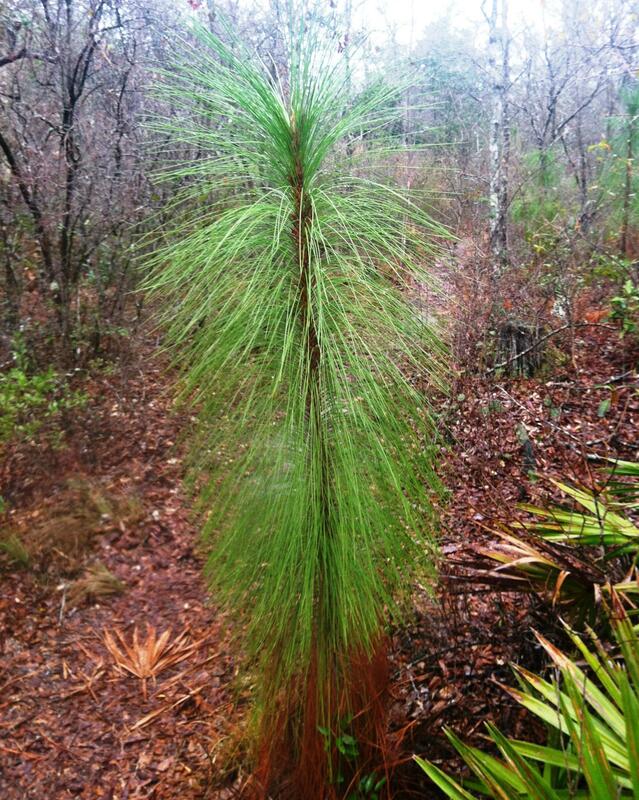 And they have the best old-growth longleaf pine left in the state of Florida. There are trees 200-300 years old there, there are some individuals have been found 500 years old, which rivals anything from anywhere in the Southeast." Thursday, March 19, they'll paddle down the Perdido River on the Alabama state line, and hold their final event at Fort Pickens State Park, near Pensacola on the Gulf of Mexico. That is, as Dimmitt and fellow expeditioner Joe Guthrie told the crowd at their final group paddle, if Mother Nature cooperates. "That's our goal. We've got to time it right with the tides and the open water crossing, and if all goes well, we'll be there at 5 p.m., " Dimmitt said. "It's inevitable we'll have some strange weather event. So we'll be prepared for that," added Guthrie. "Yes, there will be a Storm of the Century on Thursday," Dimmitt joked to the crowd. And that will be the final steps in their nearly thousand-mile journey. This Thursday, March 19, the expedition will hold its final public event, the finale at Fort Pickens State Park, in the Gulf Islands National Seashore near Pensacola.